For the Bouyer, that dynamic is not only an attitude, but the essential ingredient of a piece designed to be paired with trousers as an innovative update of the tracksuit. 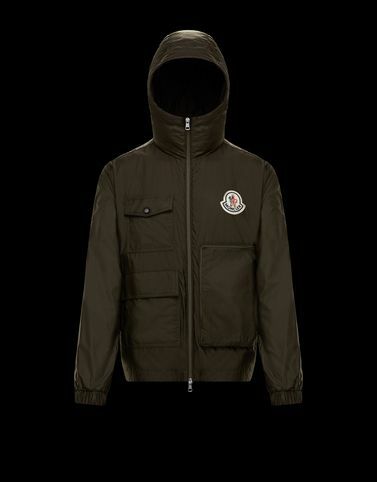 Tradition and performance delivered in nylon with the look of cotton in a multi-pocket jacket from the 2 Moncler 1952 line, collection n°2 of the Moncler Genius project. Bonus: the ability to fold into a compact pocket easy to take anywhere. Do not wash; Do not bleach; Do not tumble dry; Ironing maximum temperature 110°C - without steam; Dry cleaning in tetrachloroethene; Do not professionally wet clean; Dry flat; Wash separately; It is advisable to wash and iron the garment on reverse.